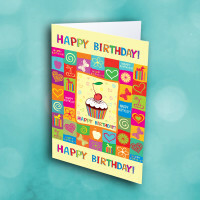 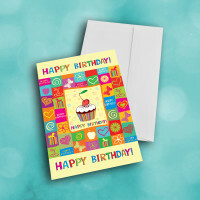 Send a birthday card full of color and light, to fill someone's special day with joy. 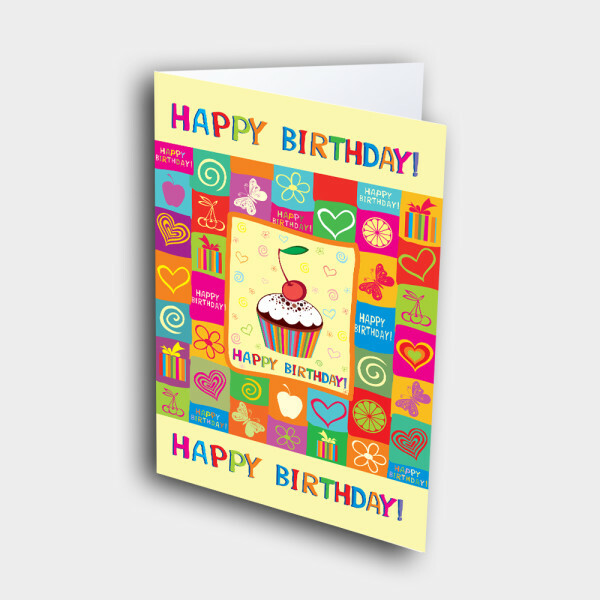 This sweet birthday card is sure to delight. 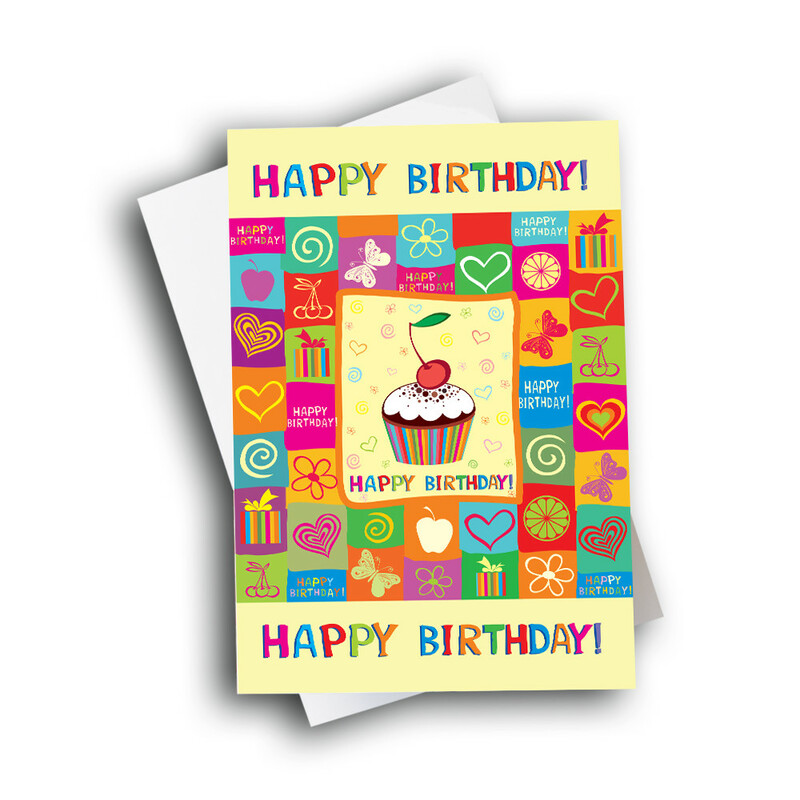 The front is a collage of numerous cute and colorful designs, all arranged around the large, colorful cupcake set in the center. 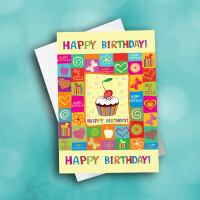 The birthday greeting frames the top and bottom of the card. 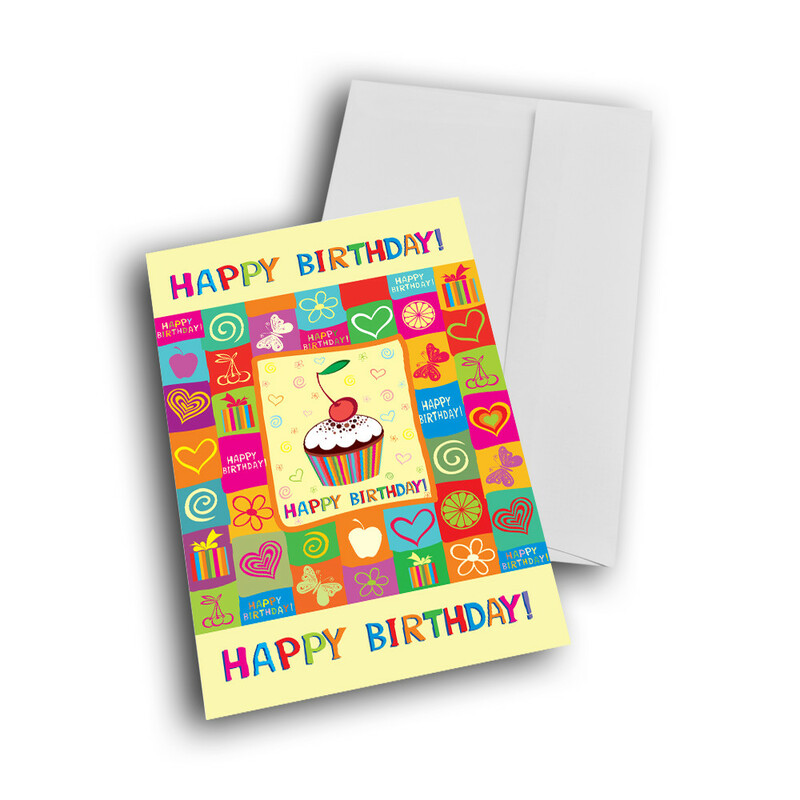 Add your own, personalized message inside to make this a truly unique birthday card.